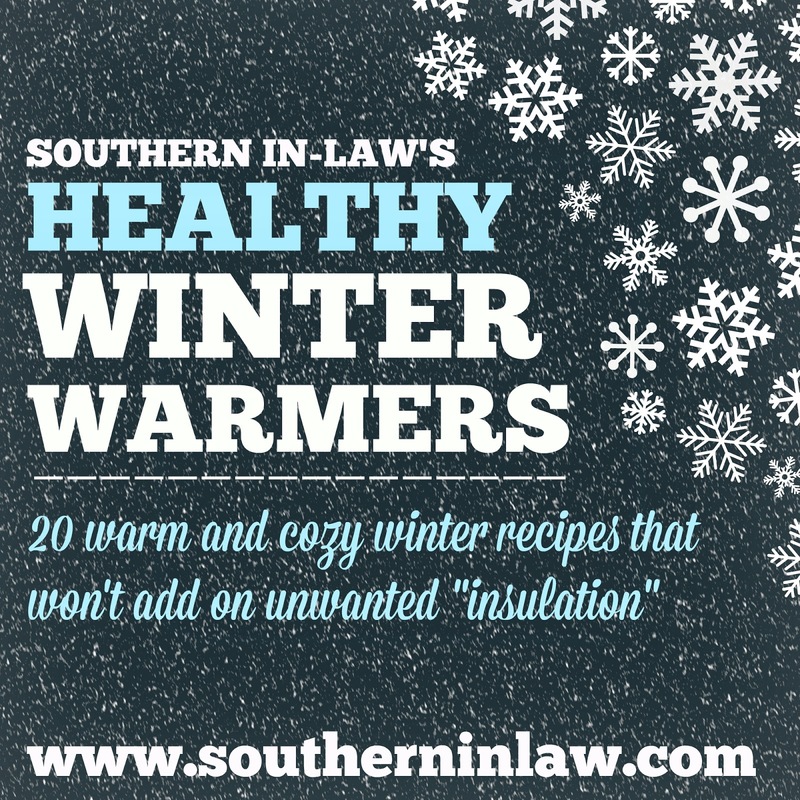 Before we head off to Louisiana to enjoy some time in the sun, I wanted to leave some recipes for those of you who are still battling winter. During the winter we loveeeee cozying up to warm and comforting dinners - but often classic recipes will add on some unwanted "insulation" thanks to all of the fat and sugar they contain. I love creating healthy versions of comfort food meals, so I've put together some of our favourite warm and comforting winter-y meals for you to try! I also have some great recipes from our friends at Origin which we've tried and loved! 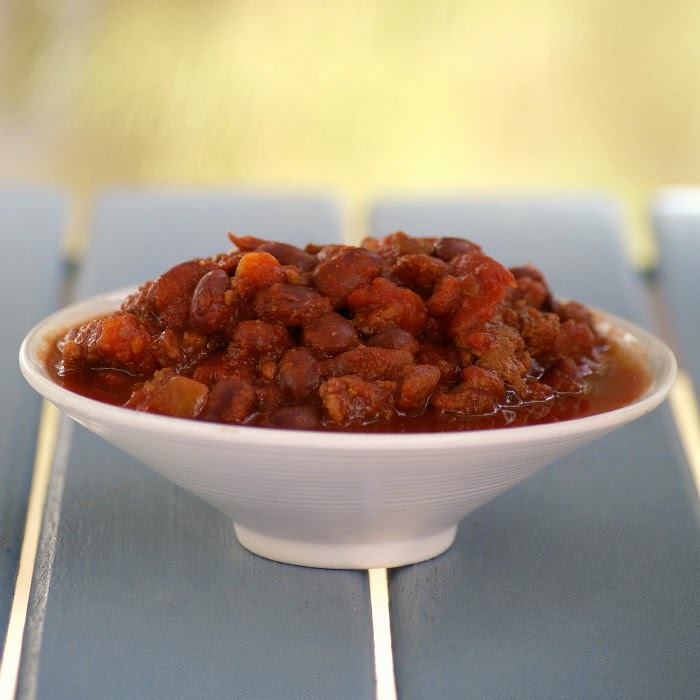 Number One:Our Healthy Chilli Con Carne Recipe that has all of the flavour you love whilst gluten free, low fat and clean eating friendly. 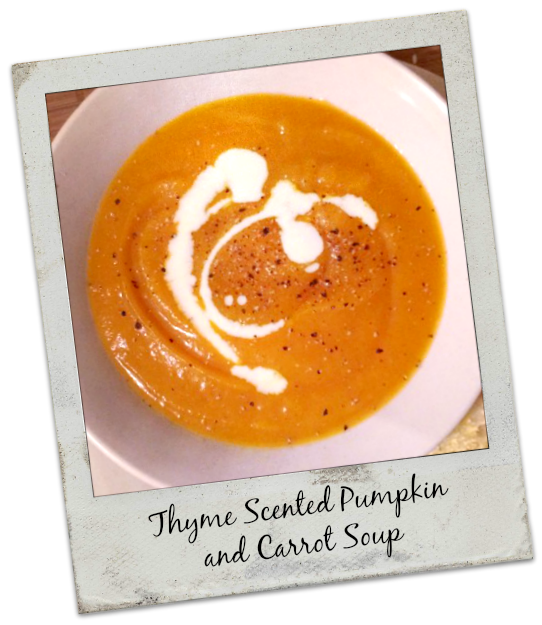 It is super easy to make and a regular feature on our dinner table. Feel free to use beef mince or make a turkey chilli by using turkey mince instead! 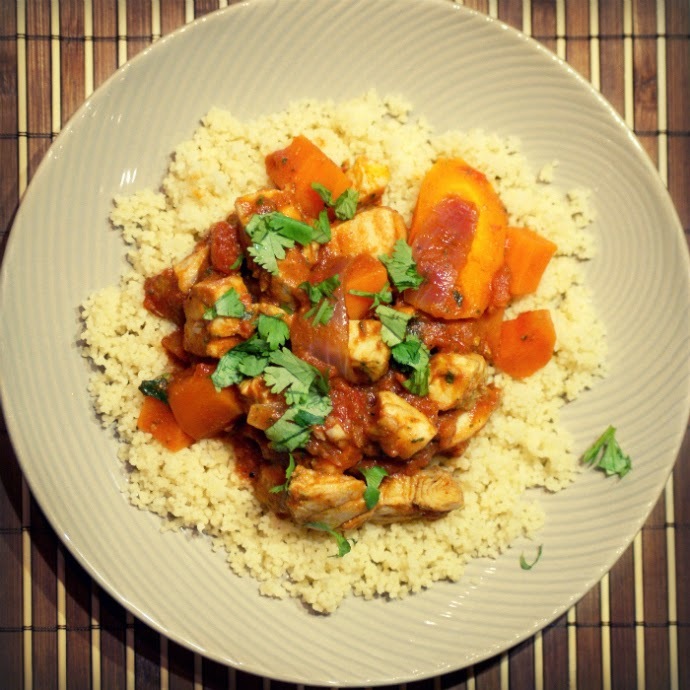 Spice up your life with our Healthy Fish Tagine Recipe. 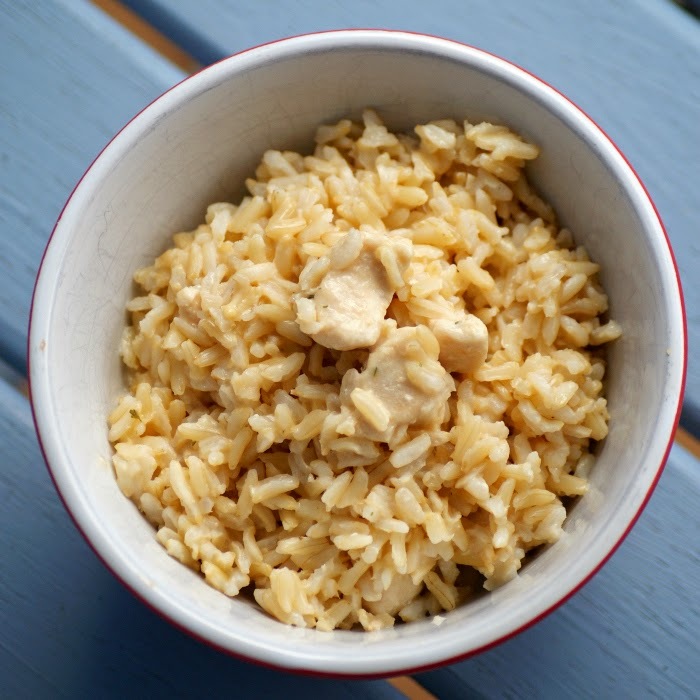 The SIL Family like this served over brown rice, however, you can also serve it on couscous or whatever you fancy! This recipe is low fat, gluten free, egg free and dairy free and great to make when company is over as it's quite impressive as it has so much flavour! Now this isn't a pretty recipe, but it sure is delicious. 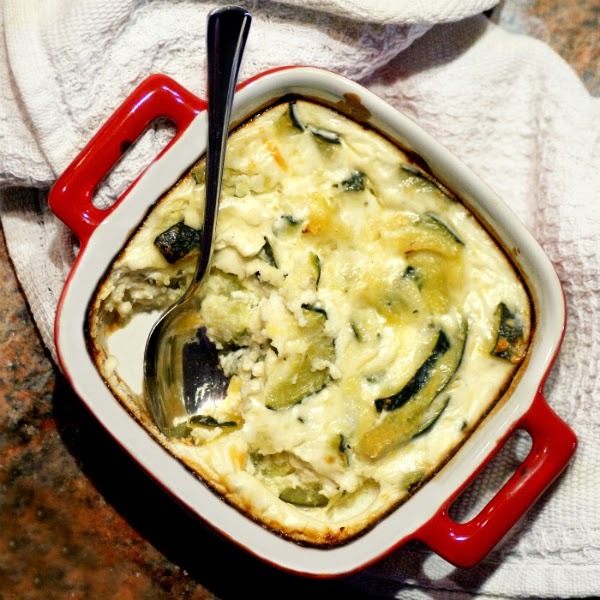 This Cheesy Zucchini Bake Recipe is warm and comforting whilst gluten free, low fat, high protein, vegetarian and low carb! 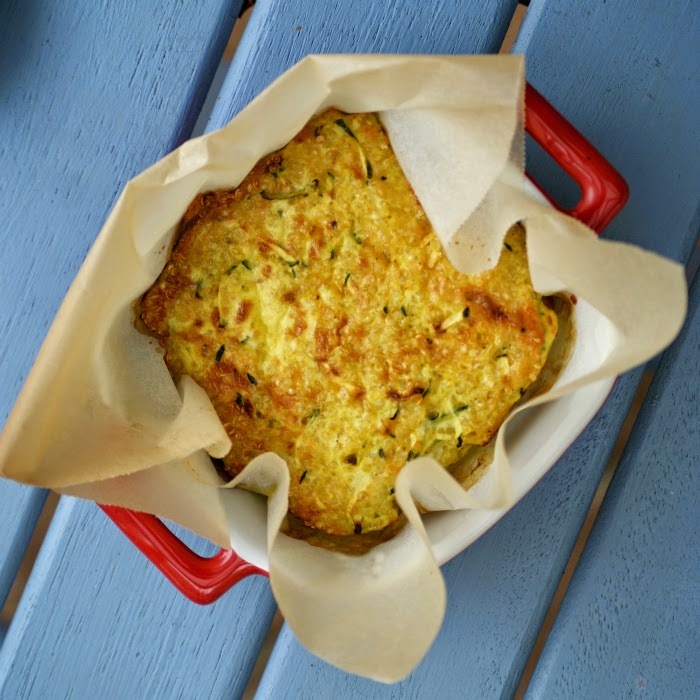 Another make ahead favourite is this Cheesy Quinoa Bake Recipe - and it's become a favourite of so many friends and SIL readers around the world. This is a recipe we always make when we have to bring a plate somewhere as you can make them in a muffin tin for a quick, portable snack or meal that's easily made in advance and reheated. 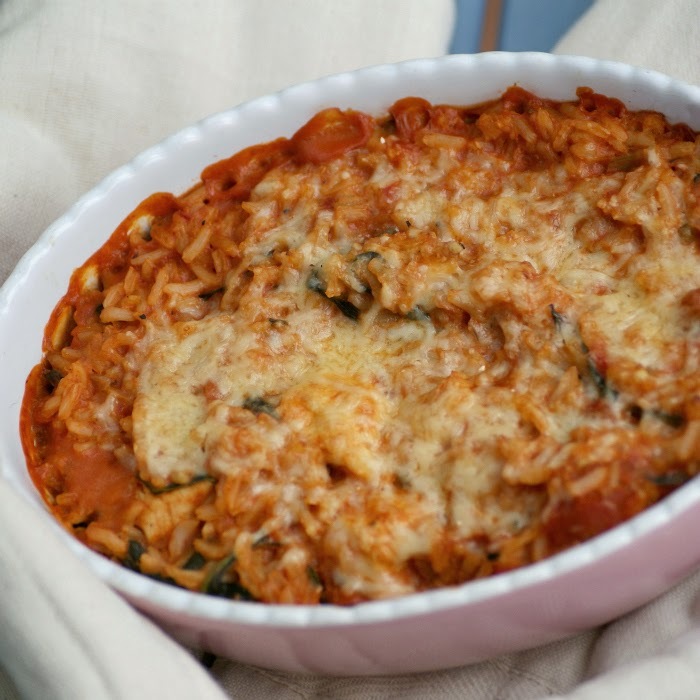 Chicken Parmigiana/Baked Chicken Parmesan is a favourite in the SIL house, however, this Healthy Chicken Parmesan Baked Rice Casserole Recipe is a delicious twist on the classic recipe. 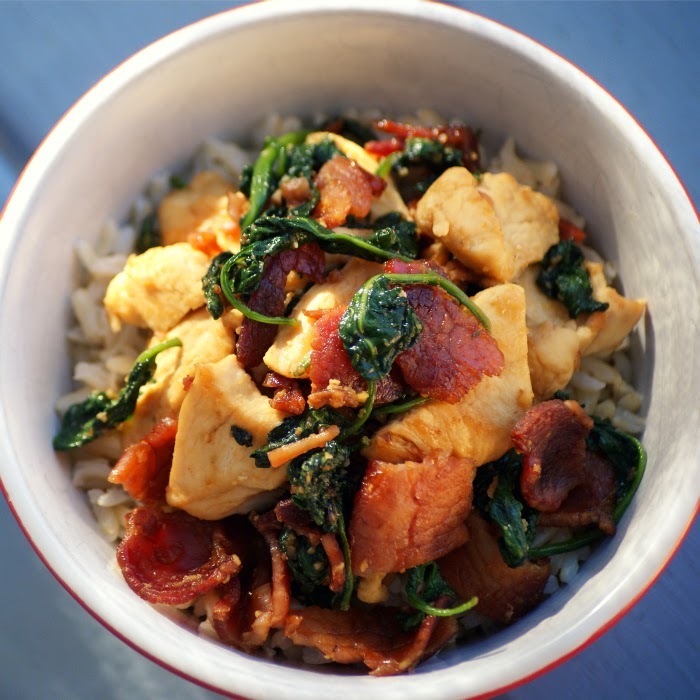 You can make this in advance and simply pop it in the oven on a busy night and you've got a delicious healthy meal! 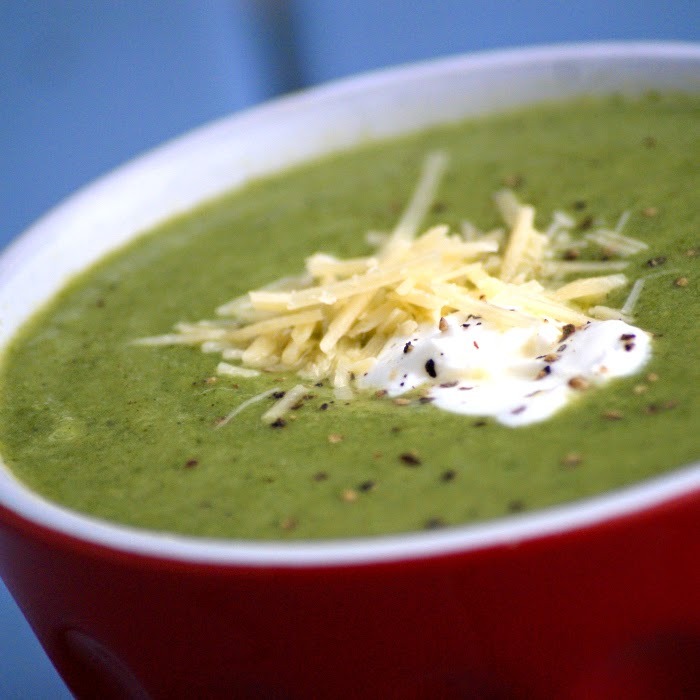 If soup is more your style, this Healthy Cheesy Broccoli Soup Recipe is one of our favourites and it's filled with plenty of veggies. It has been a huge hit with kids and adults alike! Skip the cream cheese and chobani for a vegan option! Quite a few of our friends have told us that this has been a staple on their dinner table or in their lunchbox for the last couple of months. 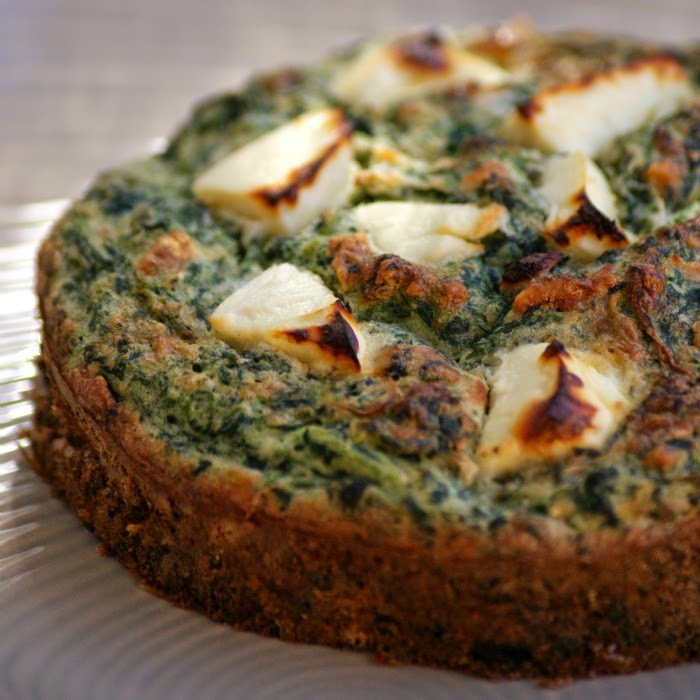 Our Healthy Brown Rice Quiche Recipe is gluten free and so easy to make. 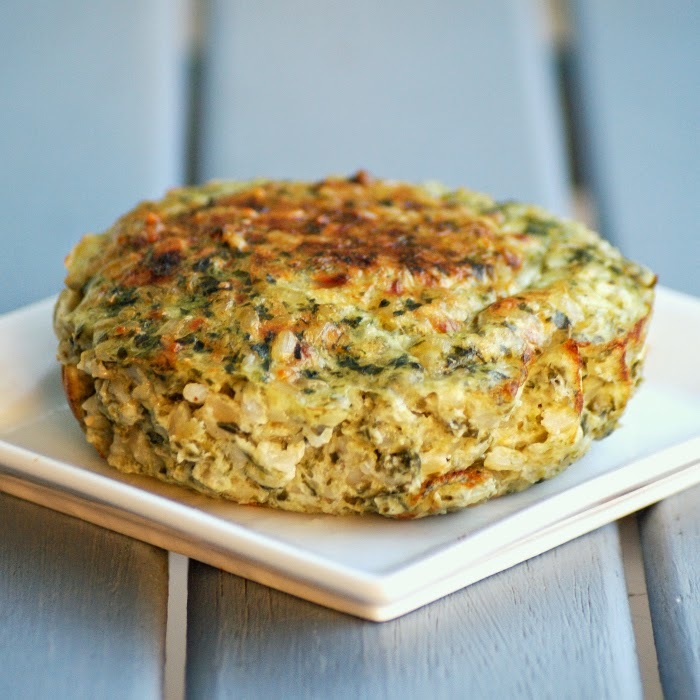 We often make up a big batch in muffin tins for a quick and easy lunch or dinner option. I am a mushroom fiend and I've been making this recipe at least once a week. If I can't buy portobello mushrooms, I'll buy little button mushrooms and stuff multiple little mushrooms instead. 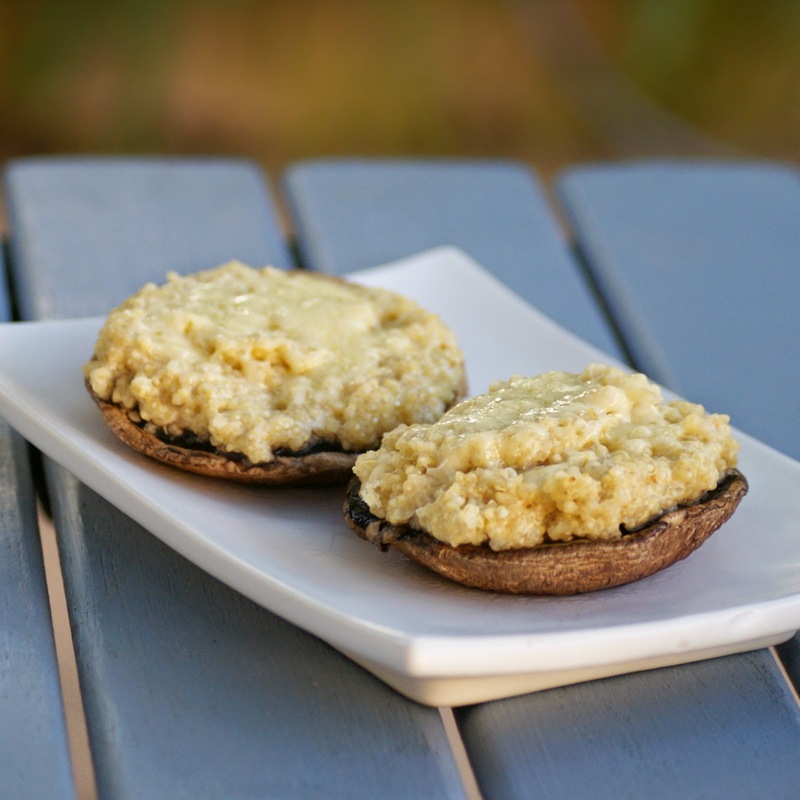 This Cheesy Quinoa Stuffed Mushrooms Recipe is definitely a must try! 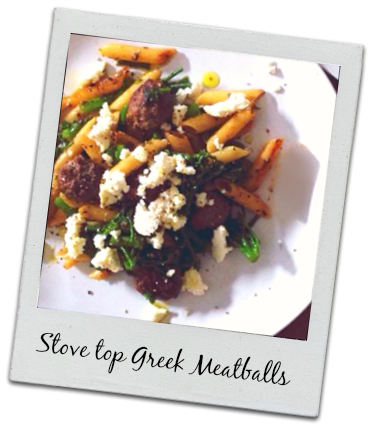 I actually just made this for dinner last night as it's one of our favourites. 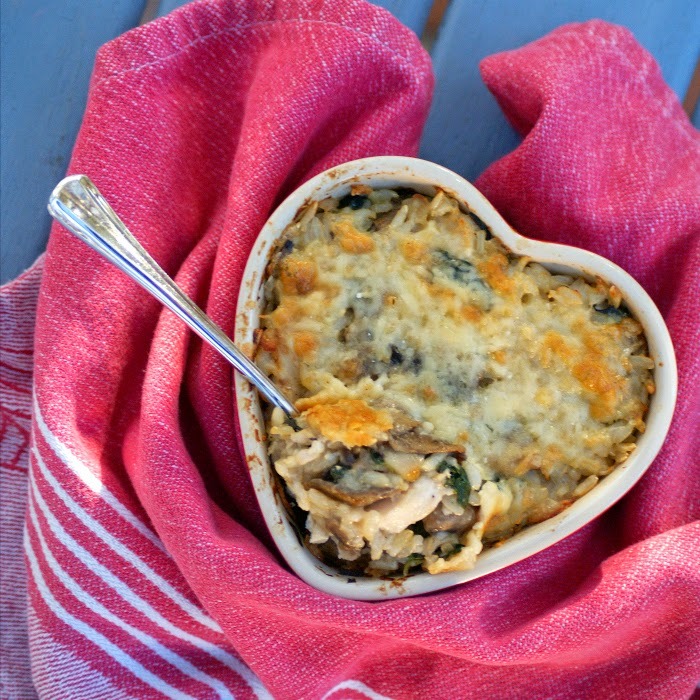 This Cheesy Chicken and Mushroom Brown Rice Bake is seriousssssssssly good - and a recipe I used to make almost every Sunday when we had church in the evening as I could just pop it into the oven when I got home to warm it up and dinner was done! 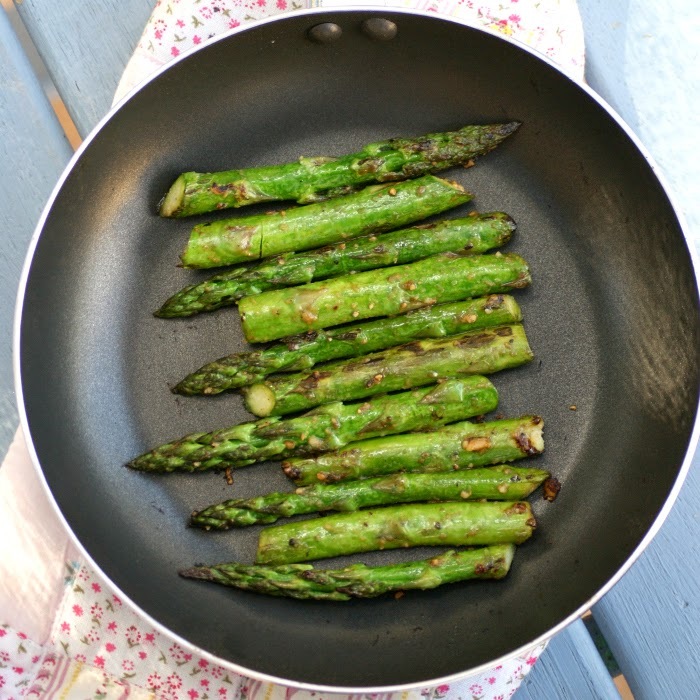 If you're looking for a warm side dish, this Easy Sauteed Garlic Asparagus Recipe is perfect, but you can easily substitute any other vegetable and do them the same way - we like sauteed green beans or broccolini! Risottos are complete and utter comfort food to be - but they're not exactly healthy or quick to make... that's why we make Cheats Risotto. 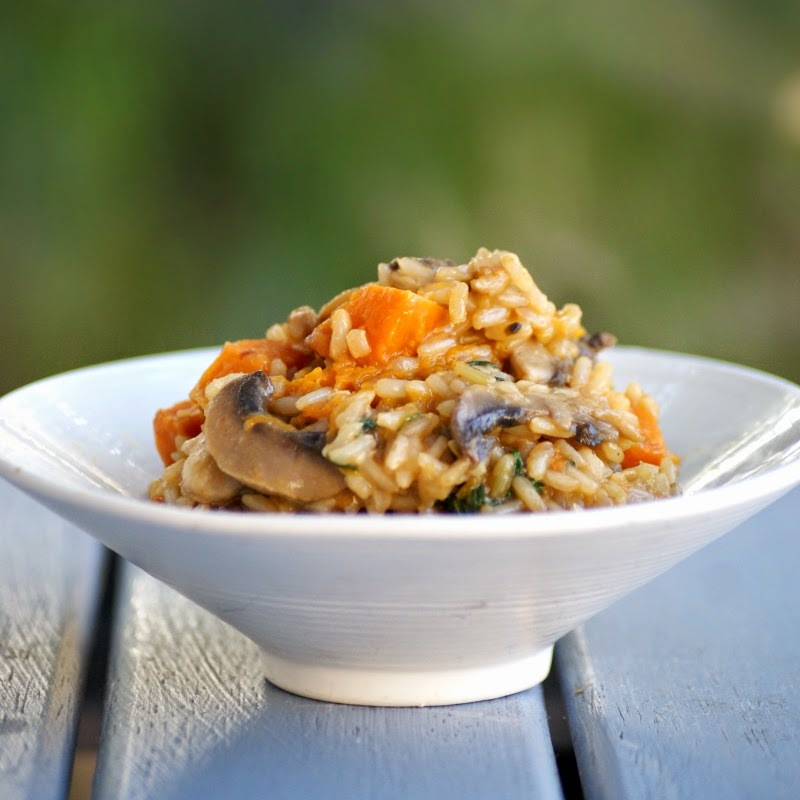 This Healthy Pumpkin Mushroom and Fresh Herb Risotto Recipe is one of our favourites and it's a "cheats risotto" as it uses pre-cooked brown rice! 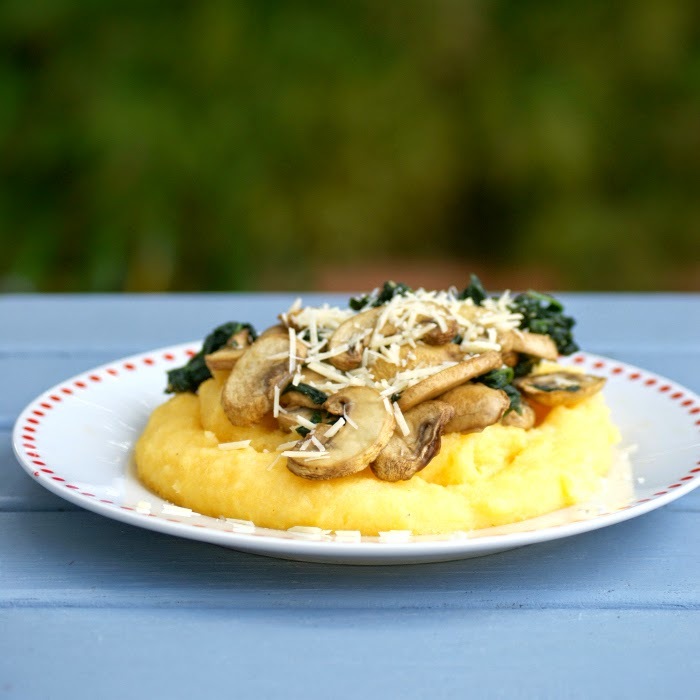 Polenta is another one of my winter favourites and this Roasted Mushroom Polenta Recipe is the perfect vegetarian or vegan (just skip the cheese) option! And you can't have comfort food without pasta! 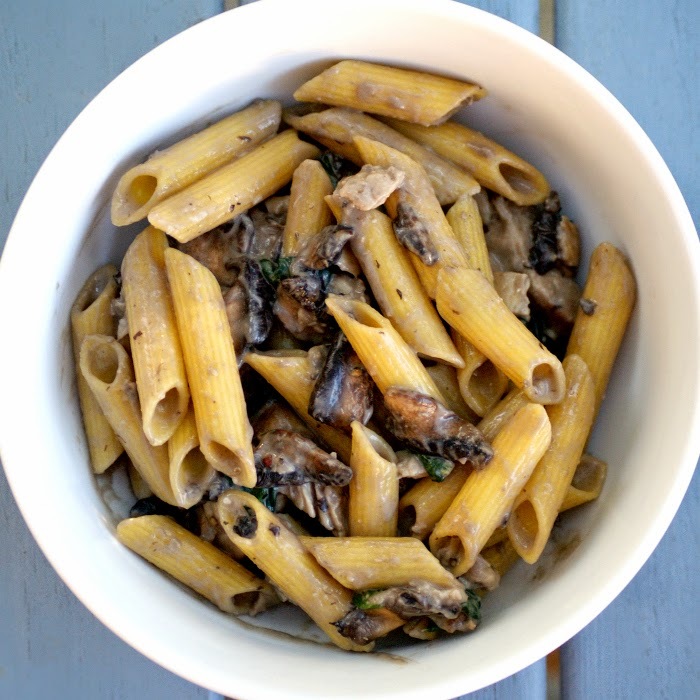 This Creamy Chicken and Mushroom Pasta recipe is super simple and super healthy - though you'd never know! But tell me, what are your favourite winter warmers?